We enjoy hearing from our clients about their experience of working with us, as it helps us continuously improve, as well as give you an insight as to what you can expect. 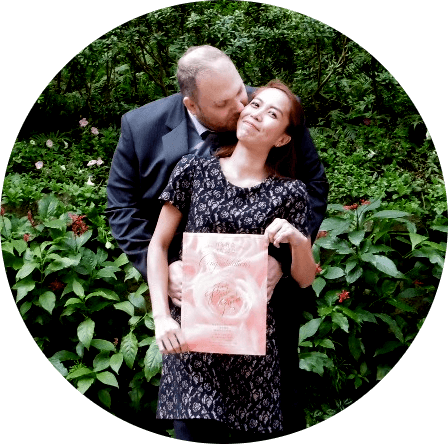 Its an amazing way to make sure our customers are happy with the service we provide; and also highly motivating to Reylita and I to keep working hard and to help many more couples get married and be united. 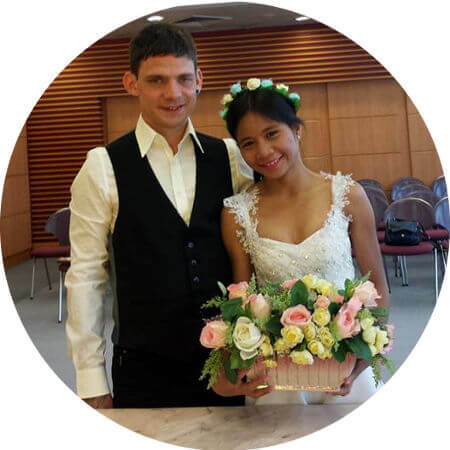 We hope to help you too, by organizing the most special day of your life in Hong Kong. Love = never ending story, when you lose your heart in the Philippines, chaos, fear, worry and stress. But then we found you “Marriage in Hong Kong” and that was good. Both of you have guided us and supported us in getting married in this chaos big city. For uncertain, anxious in the big city that maybe everything will screw up. A guide on site, two required witnesses, all this rounded off the package. We felt well taken care of and everything went well, so many thanks to the entire team. Thank you Stephan for your ear on the phone to questions and your helpful answers. 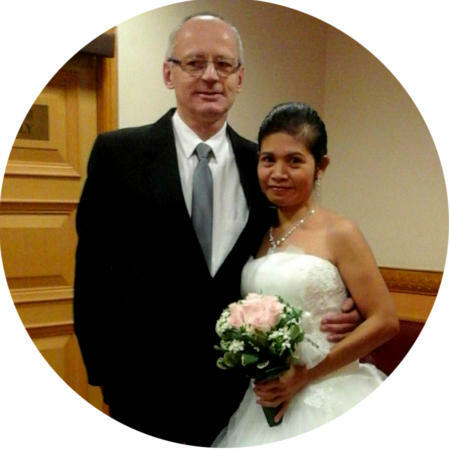 We wanted to marry in Hong Kong for bureaucratic reasons and were looking for a suitable agency. 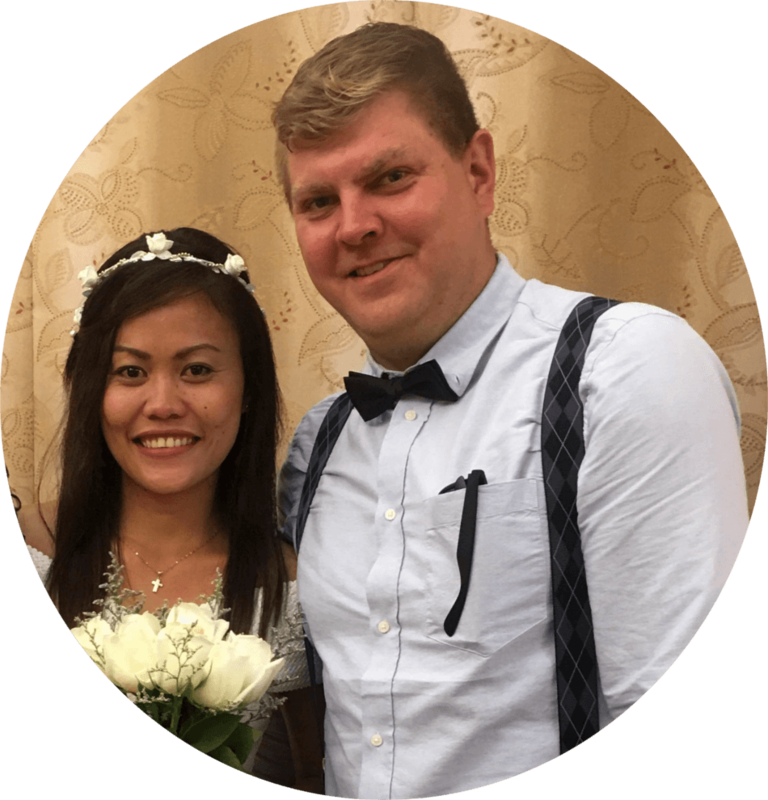 We came across the wedding service of Reylita & Stephan. Right at the beginning you have given us a very warm and friendly advice. We were particularly impressed by the competence with which we were accompanied from the beginning to the end. We would also like to thank the guides, who have supported us super on site. All in all, the step to Hong Kong in every way (visa etc.) was worth it for us. Thank you for everything! We thank you for providing us with our path to happiness. Although the circumstances weren’t easy, we managed to do it with your help by our side. Thanks to your constantly helpful advice and exact guidance, none of the complicated processes created any problems. We highly recommend you to other couples. 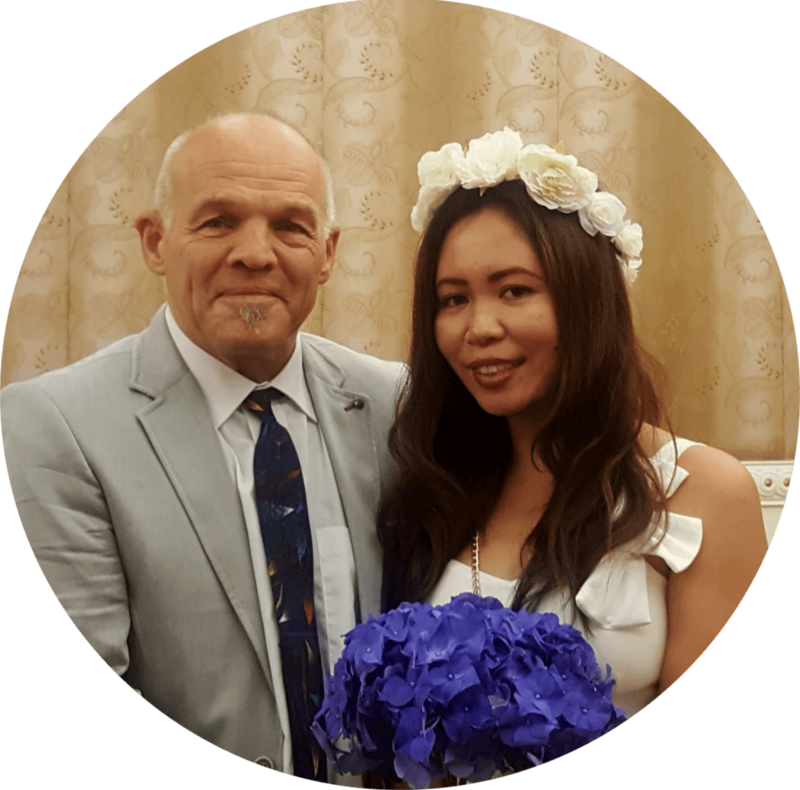 In October 2017, my wife and I heard how “easy” it is to marry in Hong Kong. Luckily we found the website of Reylita and Stephan during the research on the internet heiratinhongkong.de! During the preparation, you were always patient with help and advice. At the beginning of March 2018, we were warmly welcomed by the staff in Hong Kong and accompanied during each week by every official visit. After the wedding we spent some nice days in Hong Kong, a really remarkable and worth seeing city. Especially we would like to thank Nanette, Lani and Christy the friendly and helpful staff on site! 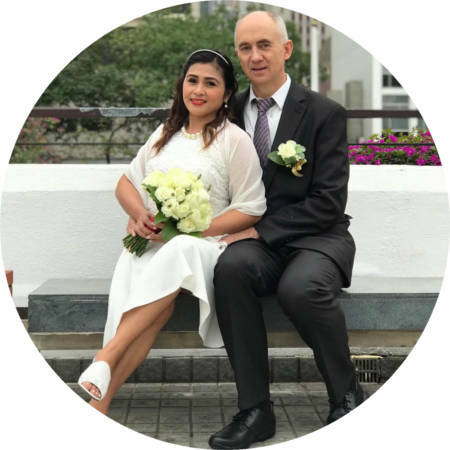 It is “easy” to marry in Hong Kong if you follow the instructions and guide of Reylita and Stephan. We can recommend this service with a clear conscience. 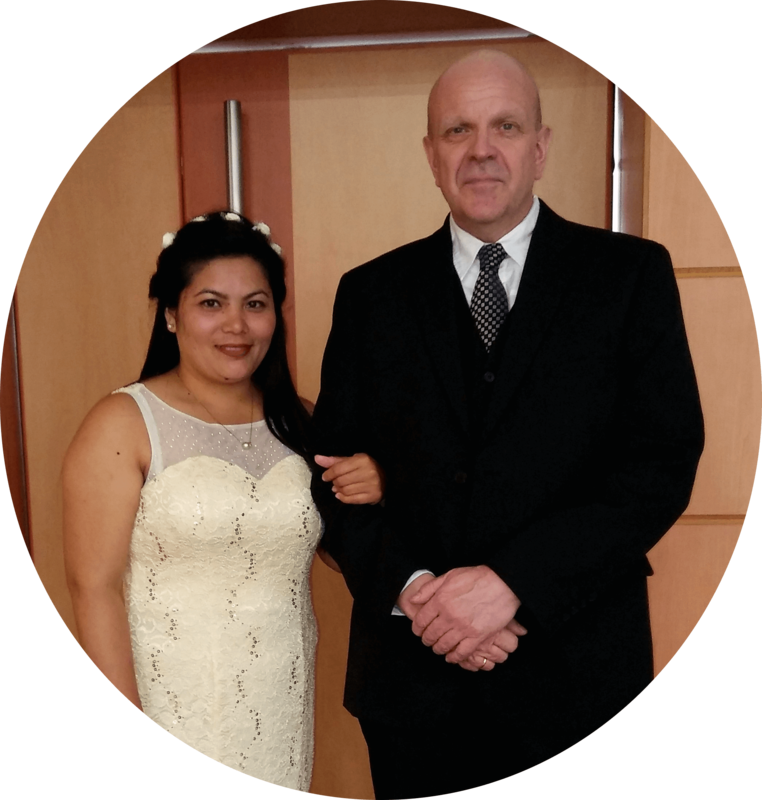 The support for our marriage by Reylita & Stephan was very helpful. Step by step towards happiness. We were also very grateful that someone was on site at the necessary governmental corridors aside. We are very satisfied! In order for us to be allowed to live together in Germany, we needed to be married. 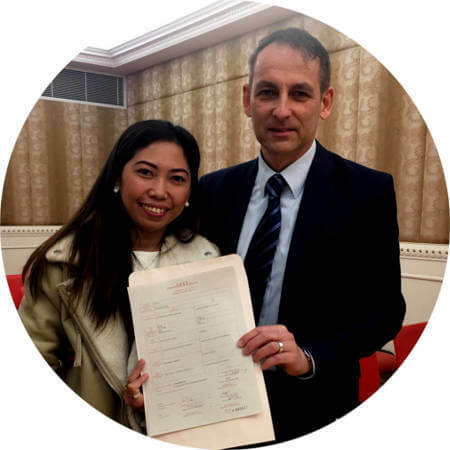 However, the German state makes it almost impossible to marry a foreigner, and a marriage in the Philippines seemed even more complicated. 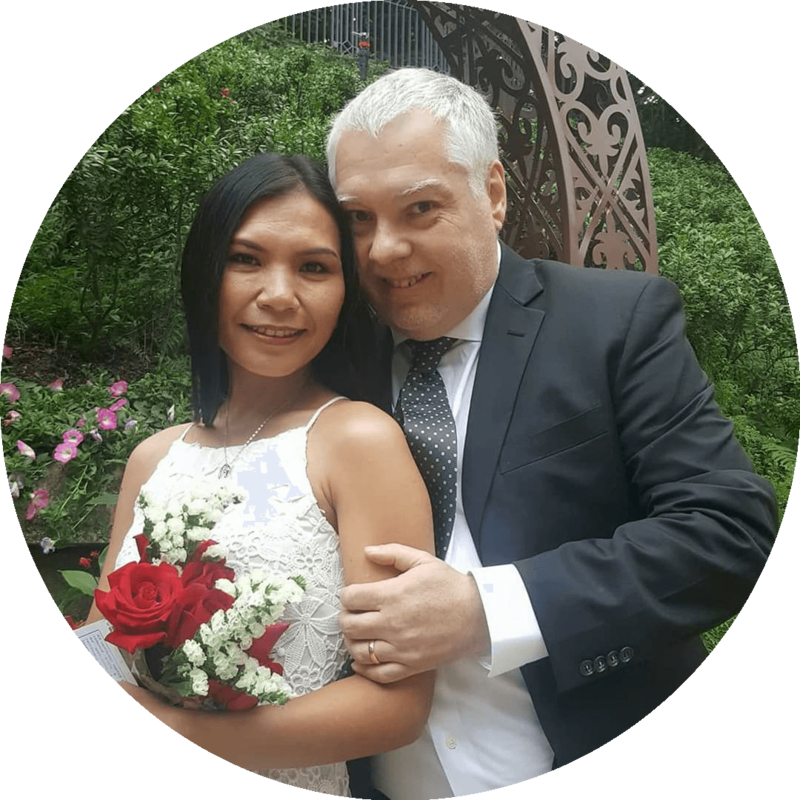 We had read somewhere that marrying in Hong Kong is different, but not easy none of the less. Especially, without professional help. But thanks to Stephan, Reylita and their staff in Hong Kong, it wasn’t a problem. We spoke to both for the first time back In October, and immediately realized that they know what they are talking about, having done it themselves too. There was never a question they couldn’t answer. Middle of December it finally all happened. We flew to Hong Kong and were taken care of and advised the whole time. Without this local help, we could have never done it nor actually enjoyed our little “holiday” in Hong Kong. We didn’t just have the feeling of being advised by professionals, but friends too. 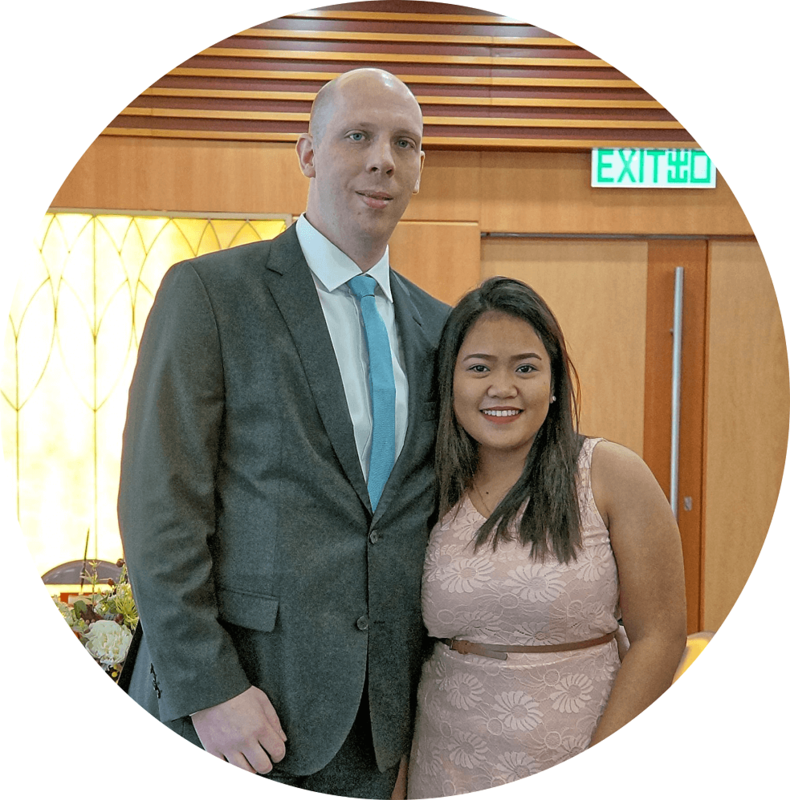 Thank you for the help with our wedding in Hong Kong. Thanks to your great service and your local staff, as planned, so that we could leave after a pleasant stay. In the name of my wife and myself I would like to express our highest gratitude for your first class service. I doubt it all would have worked out so quickly without you by our side. Especially the organization and doing all the little bits and pieces in Hong Kong were fabulous. The witnesses you provided were kind, helpful and gave us lots of tips for things to do in Hong Kong. 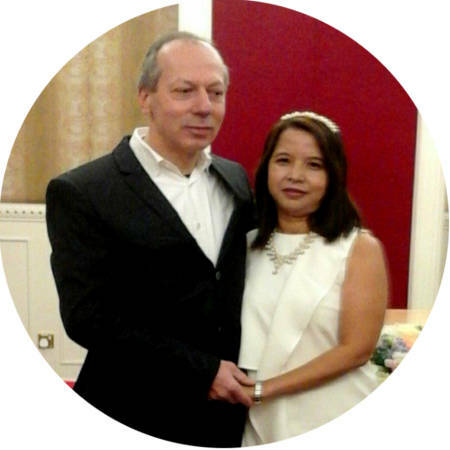 We are so happy to be married now, allowing my wife to come and live with me shortly after. The concerns to fly from the Philippines to an unknown big metropolis were completely washed away, thanks to the help we received from Marriageinhongkong.com. And if you ever get the chance to visit such a great place, you should try and enjoy and have some time spare to explore the city. Admittedly, the whole procedure in Hong Kong wasn’t easy for us and I don’t want to imagine what it would have been like without your help. We met such lovely people in Hong Kong, they were with us almost around the clock. Also, the provided witnesses were extremely helpful. We are very happy to recommend you to anyone looking to do the same. 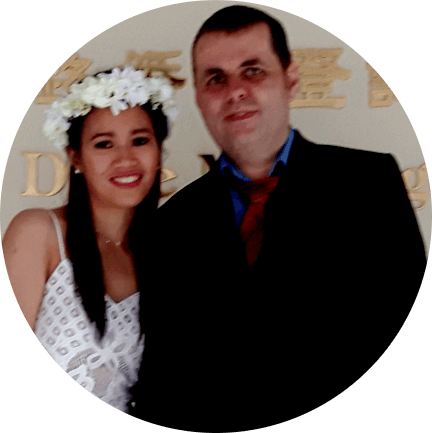 Thank you very much for your help to get married in Hong Kong, Your written guide containing all the information and details helped us tremendously. Right from the start we felt like we were in good hands, and if anything, you surpassed our expectations. We therefore highly recommend you. Thank you again for this once in a lifetime experience. Thousand thanks for the professional help and guidance. All the necessary government authority visits were well prepared by you and there were no hick ups whatsoever. The friendly witnesses you supplied, actually showed us around in Hong Kong, almost making it feel like a holiday. For accommodation we can recommend the Western Plus Hotel, at which entrance there is a Tram stop that took us to the city centre for around 20 pence per person. We are very happy about the forthcoming help we received with all the formalities, and the organisation of our travel. We had a very positive feeling about you from the beginning, and were happy to have you by our side all the way. Our expectations were quickly exceeded and are very happy to write this review and thus highly recommend your services. Thank you for an unforgettable experience. After many headaches and a lot of time wasted your service was our last hope. It was a really lucky, needle in the haystack kind a moment, when we stumbled upon marriageinhongkong.com. You helped us surpass our domestic bureaucracy and made our dreams come true. We would not hesitate for one second to highly recommend you. 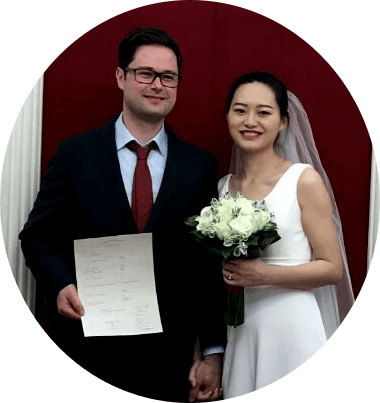 If you also want to start the next chapter in your life with a marriage in Hong Kong, then don’t wait any longer and contact us here.